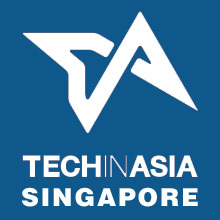 Singapore, 6 May 2015 – Recognised as one of the market leaders at the forefront of the corporate services industry, Mr. Satish Bakhda served as a guest speaker at the Tech in Asia Singapore 2015 conference to discuss the essential role that professional services firms can have in facilitating the continued growth and development of local technology businesses. With over $1.71 billion in venture capital funds invested in Singapore’s technology sector in 2013 , the city-state is emerging as a global technology hub for entrepreneurs looking to benefit from the country’s friendly tax policies, numerous grants and schemes and favourable regulations. In his speech, Mr. Bakhda discussed the increase of technology start-ups in Singapore, and three specific areas in which professional services firms can best assist: taxation, employment and corporate services. Using corporate tax as an example, Mr. Bakhda pointed out how a private limited company’s shareholding could potentially impact the effective tax rate imposed, and how a corporate services firm can advise on the best structure for technology start-ups. Mr. Bakhda also touched upon the basic compliance regulatory requirements for corporate entities in Singapore, and explained how awareness of the key requirements and early preparation can greatly ease the tedium and pain of meeting compliance requirements. Acknowledging the difficulties of retaining talent with the tight labour market, Mr Bakhda also spoke about the various work visas available and emphasised that with the right tools and specialists, companies need not perceive the prospect of hiring foreign talent as an impossible task. Other speakers at the Tech in Asia Singapore 2015 conference included Steve Leonard, Executive Deputy Chairman of the Infocomm Development Authority of Singapore, Anthony Tan, Founder and Group CEO of GrabTaxi and Steve Melhuish, CEO and Co-founder of the PropertyGuru Group. If you missed yesterday's "Market Expansion Track" discussion, you may request a copy of Mr. Bakhda's presentation via email. Email us at info@rikvin.com or hit the Contact Us button to submit your request.